In this review we'll ascertain if STABLEMINING.biz is scam or legit, Paying or not paying, secured or not and whether you should invest or not. STABLEMINING is a scam hyip project that claims its into cloud mining and pay its investors 10% daily and up to 6000% in 240days. LOL... Maybe it's paying now, but don't let that trick you into investing with them. A HYIP is always a hyip and sooner or later it may likely stop paying. 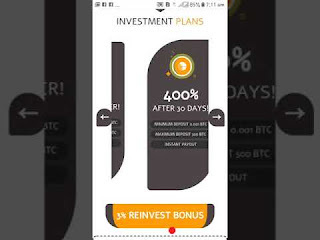 A HYIP or high-yield investment program (HYIP) is a type of Ponzi scheme, an investment that promises high return on investment by paying previous investors with the money invested by new investors. - wikipedia. I advise not to invest, not even the least possible you can. Watch Our Video review below and scroll down to see our recommended Programs.